Ever since Ford announced at the 2017 Detroit Auto Show that it would be bringing the Ford Bronco back, SUV lovers have been anxiously waiting to learn more details about it. Ford has mostly been tight-lipped, though. However, we’ve learned that Ford did release some more details about the revival of its classic Bronco at a recent gathering of top-selling dealers in Palm Beach, Florida! 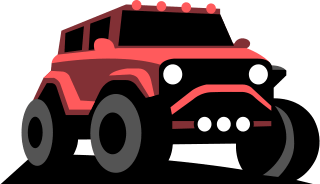 Ford used that event to take the wraps off a Bronco prototype and also explain its larger vision for a “family” of rugged off-road vehicles, which will also ultimately include a unibody pickup. Ford revealed at that event that the new Bronco SUV will be available in both two-door and four-door form. People were expecting a two-door model because of an initial teaser image that Ford had provided. But, given the competition Ford is up against with the Jeep Wrangler, it makes sense for the company to also offer a four-door option! After all, four-door versions of the Wrangler make up a majority of Wrangler sales. Sources who were at the special event also told Automotive News that the new Bronco is designed to be even more customizable with a removable hard top and removable doors that can be stored in the vehicle’s cargo area. Those sources said the side mirrors will be attached to the front pillars so that they remain in place even when the doors are off. That feature might just help the Bronco better compete with the rival Wrangler! 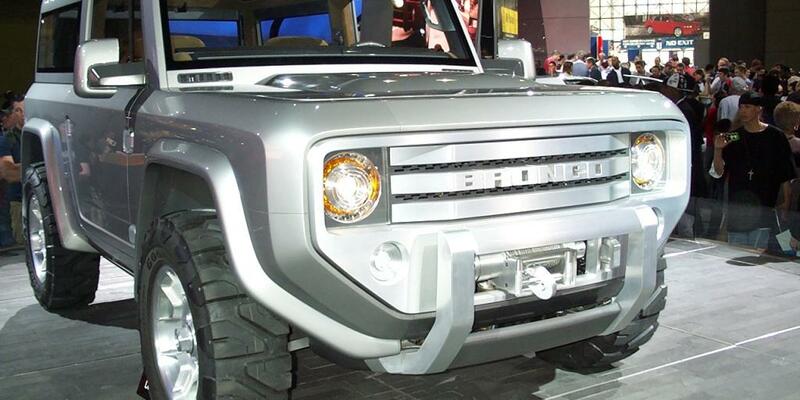 Top-selling Ford dealers who were in Florida for that special event also said that the Bronco prototype on display had a retro design, featuring a rectangular grille, and round headlamps. The word “Bronco” was proudly stamped across the front. One dealer told Automotive News they thought the Bronco was twice as cool as they thought it’d be! And another dealer described it as a game changer. We have to admit, we’re pretty jealous we weren’t in the room to see the prototype! That version, which has yet to be officially named, will come three months before the Bronco. Since the Bronco is expected to arrive in late 2020, you can plan for the Baby Bronco to make its way to dealers sometime before then. Ford plans to make the Bronco as its Michigan Assembly Plant, where the Ranger midsize pickup truck is also made. That pickup went on sale this past January. 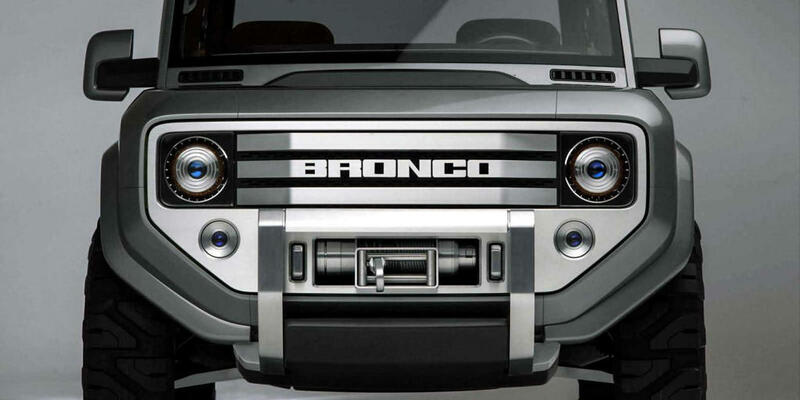 Ford has been incredibly protective about the details surrounding its future Bronco. For example, it made its top-selling dealers hand over their phones before the recent Florida event where the Bronco prototype was revealed. The company has also only offered a teaser image of its upcoming vehicle to the public so far, so there’s still much left to be seen. 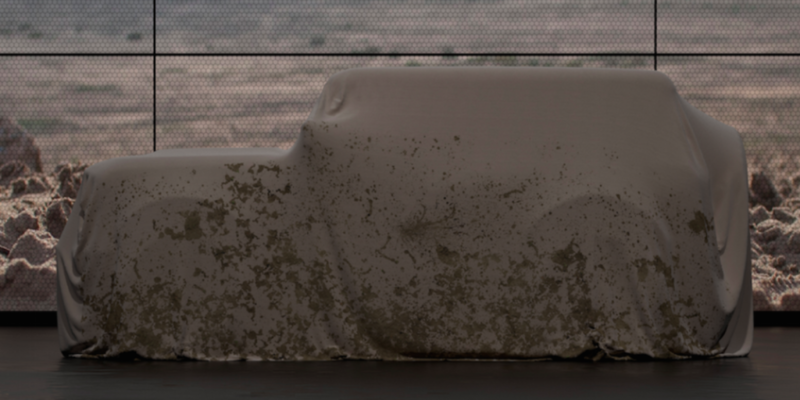 The released image shows a boxy SUV covered in a white sheet that’s caked with mud. The company also chose not to show images or renderings of its revived Bronco at major dealer gatherings. However, Ford has displayed some photos of its Baby Bronco at those events. We’re not exactly sure why Ford has been so secretive about its upcoming Bronco, but it’s definitely kept people interested and wanting more. We’re sure there will be even more commotion about the vehicle as it gets closer to the release date. Ford also reportedly talked about its upcoming unibody Courier pickup and the Mustang-inspired crossover EV at the recent Florida event. Those two vehicles will be marketed along with the Baby Bronco and Bronco as a new “family” of rugged off-roaders. The Ford Bronco was made and marketed by Ford from 1965 to 1996. The first generation of the vehicle was introduced to compete with compact SUVs on the market, including the Jeep CJ-5. 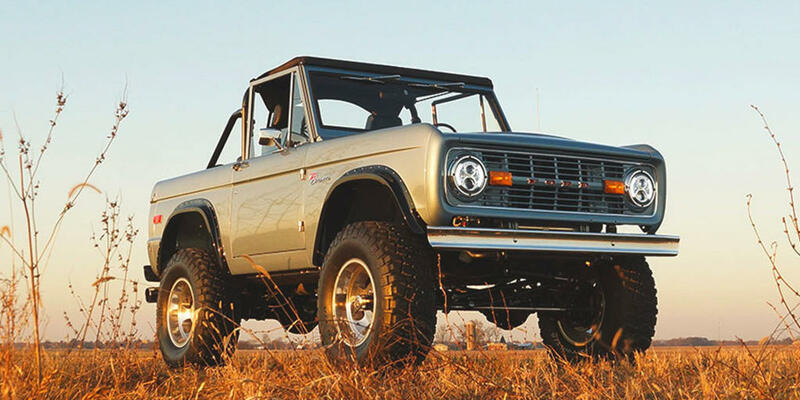 The next four generations of the Bronco, however, were full-size SUVs derived from the Ford F-Series pickup truck. It was an excellent sibling for the Mustang. Both were powerful and youthful, but the Bronco added toughness. But as demand for four-door SUVs grew, Ford decided to stop making the Bronco. The last vehicle to wear the Bronco name rolled off the assembly line in 1996. Soon after that, Ford began making the four-door Expedition. It’s no secret crossovers are popular. Consumers want more of them and manufacturers know that. That’s why Ford announced in April of last year that it would be eliminating nearly all of its car models in North America in order to reinvent itself and focus more on utilities. While Ford wants to make sure people know it’s not retreating, just reinventing, it’s clear there’s a lot riding on these upcoming utilities from Ford. Because people also love the Bronco so much, and it’s seen as such an iconic vehicle, it’s critical for Ford to knock it out of the park with its revived Bronco! Some critics are feeling hopeful, though, after information was leaked from that recent Ford dealership event in Florida. Utility lovers are definitely excited that two-door and four-door models will be offered, and that the hard top and doors will be removable. With this much excitement surrounding a vehicle, it’s bound to have a solid start. It doesn’t hurt that celebrities seem to love the vehicle, too. Dwayne Johnson, Jeremy Piven, and Collin Farrell have all been spotted driving classic Broncos. We’ll be paying attention to just how much the Bronco cult grows after the nameplate makes its grand return in late 2020. And don’t forget, Jeep is also working to bring back a classic. The Wagoner and Grand Wagoneer, however, won’t arrive until after the new Bronco.